Gordon Coutts was born in Glasgow, Scotland in 1868. He enjoyed an extensive art education, attending schools in Glasgow, London, and Paris. Moving to Melbourne, Australia around 1895, Coutts taught at the Art Society of New South Wales for several years before moving to San Francisco, via London, in 1902. 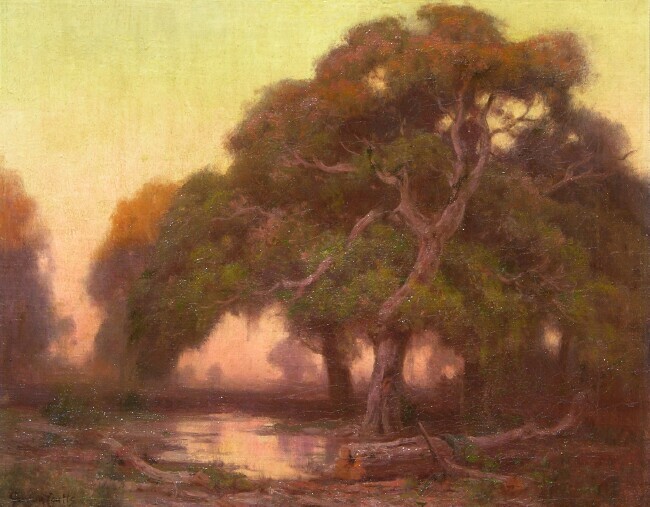 Coutts remained an active artist and exhibitor in San Francisco until his health necessitated a move to a drier climate. Ultimately settling near Palm Springs, Coutts continued to paint, becoming especially well known for his desert paintings. Gordon Coutts died in Palm Springs in 1937.